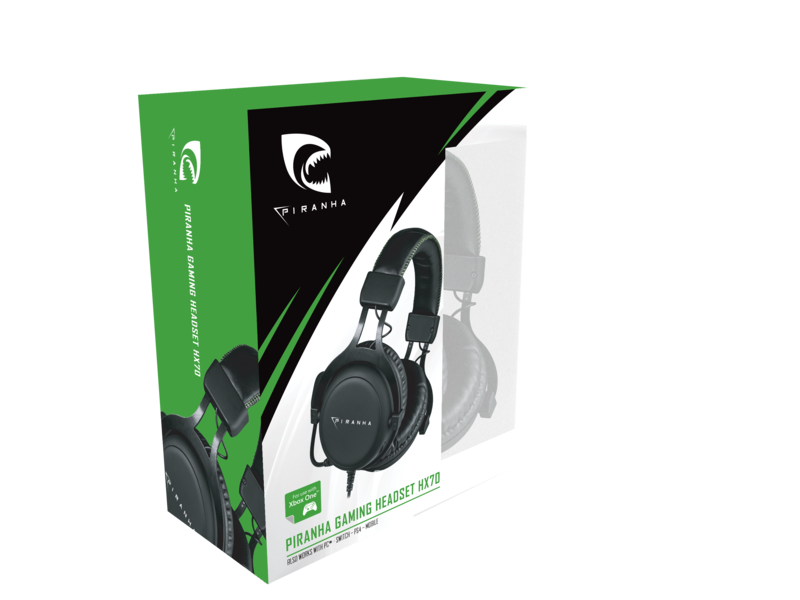 The Piranha HX70 Gaming headset is your go to headset for online gaming, the headset features on earcup volume control for easy and quick adjustments, the high-quality headband features PU leather with fine detailed stitching. Wide headband adjustment made in metal provides a great fit for all users. The PU leather provides a closed feel and will block out surrounding noise in your environment. With the huge 57mm drivers the HX70 gives you one of the best audio experiences in gaming.